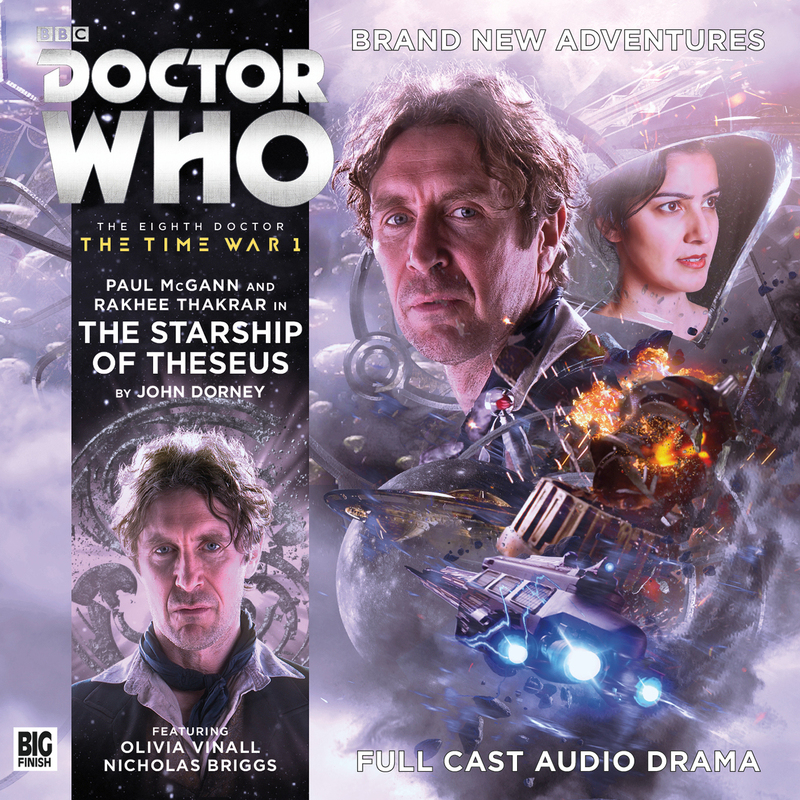 This first story kicks off the whole box set with a bang – or, perhaps more literally, a crash – as the Doctor ends up on a starliner named the Theseus with his companion, Sheena. From Big Finish Productions: The Doctor and his companion, Sheena, land the TARDIS on the glamorous luxury space-liner Theseus just as it’s about to leave the Jupiter space-port. An opportunity for a holiday presents itself – and it’s one they’re very glad to take. But when a disturbance catches their attention, they realize sinister events are taking place on board. Passengers are vanishing on every trip. And unless they’re careful they may be next. Can the Doctor and Emma solve the mystery? Or is there something else they should be worrying about? Picking up from where the previous story ended, the Doctor, Bliss, Quarren, and Rupa have been captured by the Time Lords. Bliss, Quarren, and Rupa are being interrogated while the Doctor is being forced to attend a boot camp for new Time Lord soldiers. If that’s not a setup for an interesting episode of Doctor Who, I don’t know what is. 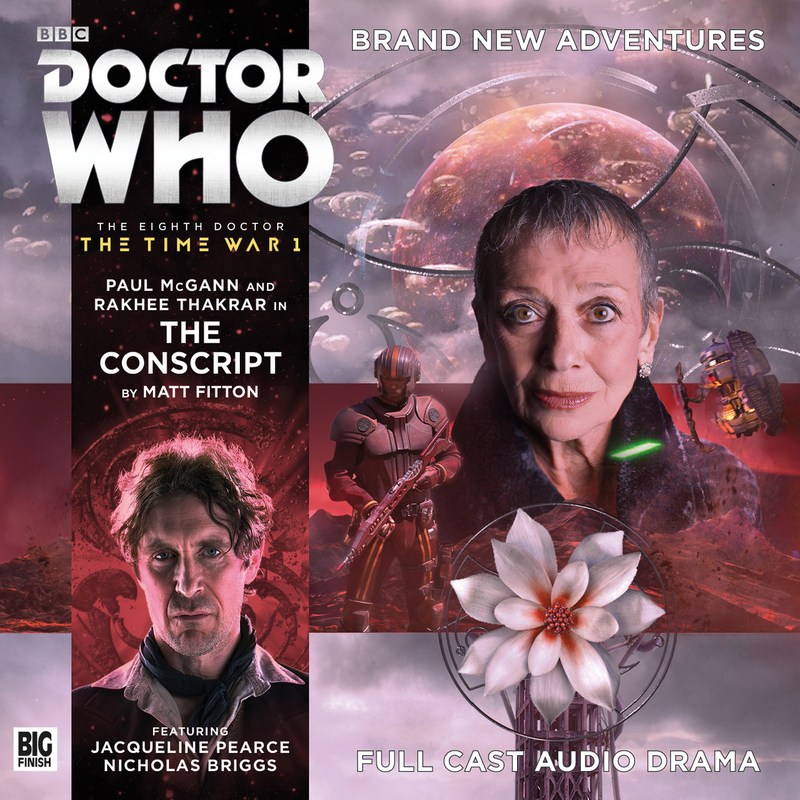 From Big Finish Productions: Cardinal Ollistra (Jacqueline Pearce) has a new tactic to persuade the Doctor to join his people’s fight. With his friends locked away, he has been conscripted alongside fellow Gallifreyans to train for the front lines of battle. Commandant Harlan (Nick Brimble) has a reputation – his camp’s regime is harsh. He believes the Time Lords must adapt to win this war, but the Doctor is not easily intimidated. Can there be any place for dissent when the Time War looms so close? The final story picks up directly from the cliffhanger of the previous: Ollistra is threatening to kill the Doctor if he doesn’t work with her to find the weapon she’s looking for and stop the Daleks. The catch is… the weapon might just be a person. From Big Finish Productions: As the full force of the Time War crashes down around the Doctor and his friends, a desperate battle for survival ensues. But not everyone is playing the same game. Ollistra is after a weapon that could end the war in a stroke and she’ll sacrifice anyone or anything to take it back to Gallifrey. Even the Doctor. Surrounded by Daleks, and on a tortured planet, only one man can save the day. But he doesn’t want to fight. 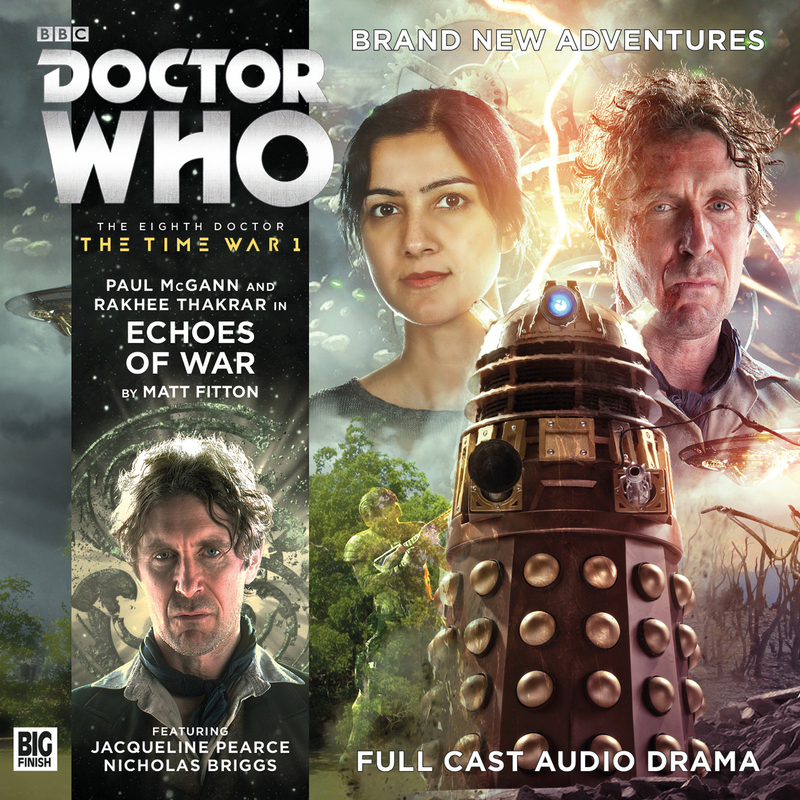 Doctor Who: The Eighth Doctor – The Time War Series 1 is easily one of my favorite box sets from Big Finish. It’s one of the best Time War stories told so far and it’s a great showcase of how talented Paul McGann is and the range his Doctor possesses. It goes from being funny and whimsical to dark and emotional in the blink of an eye. It really explores just how devastating a Time War can be and how unimaginable the destruction from one would be. It features a lot of really well written and well-acted characters, some truly clever stories, and a lot of brilliant sound design and music. It’s a great jumping on point for fans of the new series who want to explore some of the Eighth Doctor’s adventures as it requires no knowledge of his previous Big Finish outings. I can’t say enough good things about this box set. Just do yourself a favor and listen to it. It’s great. Note: the cover image is from a Deviantart user by the name of PEJ72. I used this image instead of the official image because it features the new Doctor Who logo – like the image for Series 2 does – and makes it look more uniform. You can find the image here.